The Supreme Court’s seven-Judge Constitution bench, which today heard arguments on whether to refer Justice Krishna Iyer’s landmark judgment in Bangalore Water Supply case for reconsideration by a nine-Judge bench, has reserved its decision. But the trend of arguments before the bench, and its observations, suggested that the bench may be inclined in favour of reference to a nine-Judge bench, rather than hear and decide the case itself. The counsel for the petitioner, senior advocate, Sunil Gupta, suggested that the Supreme Court’s judgment in Bangalore Water Supply case was not strictly a judgment, as it had some unusual features. The Bangalore Water Supply bench, presided by the then CJI, Justice M.H.Beg, included justices Y.V.Chandrachud, P.N.Bhagwati, Krishna Iyer, Jaswant Singh, V.D.Tulzapurkar, and D.A.Desai. Of the five Judges who constituted the majority, three had given a common opinion, but two others gave separate opinions, projecting a view partly different from the views expressed by the other three Judges. Justice Beg, having retired in the mean time, had no opportunity to see the opinions delivered by the other Judges subsequent to his retirement. Justice Krishna Iyer, and the two Judges who spoke through him, did not have the benefit of the dissenting opinion of the other two Judges (Justices Jaswant Singh and Tulzapurkar) and the separately partly dissenting opinion of Justice Chandrachud, as those opinions were prepared and delivered subsequent to the delivery of the judgment. Gupta referred to these facts, and said they are comparable to the recent NEET bench which recalled the previous order of a three-Judge bench, because one of the Judges, Justice Anil Dave had not read the majority judgment delivered by Justice Altamas Kabir. Gupta observed: “This is a direct pertinent point. The judgment in Bangalore Water Supply, therefore, is not a judgment in the eyes of law”. Gupta also pointed out that the Bangalore Water Supply bench did not discuss what was the sovereign function. This omission led the Government amend section 2(j) of the Industrial Disputes Act to exclude the sovereign function from the definition of “industry”, although this amendment was not enforced. Senior advocate, Indira Jaising, representing the respondent, however, disagreed saying difference of opinion among the Judges is not a ground for reference to a larger bench. “Something more than difference of opinion among the Judges must be shown”, she said. Jaising explained that although there was a dissent by two out of seven Judges, the judgment must be construed as the decision of the seven Judge bench. She also suggested that whether or not a particular argument was addressed by the bench cannot be a factor to justify a reference to a larger bench. Answering a question from the bench, she said the doctrine of manifest error – that there was a manifest error in the previous judgment – must guide the bench, while deciding whether the case needs to be referred to a larger bench. She said the judgment in the Bangalore Water Supply case has stood the test of the time, and the Supreme Court had earlier rejected requests for its reconsideration. 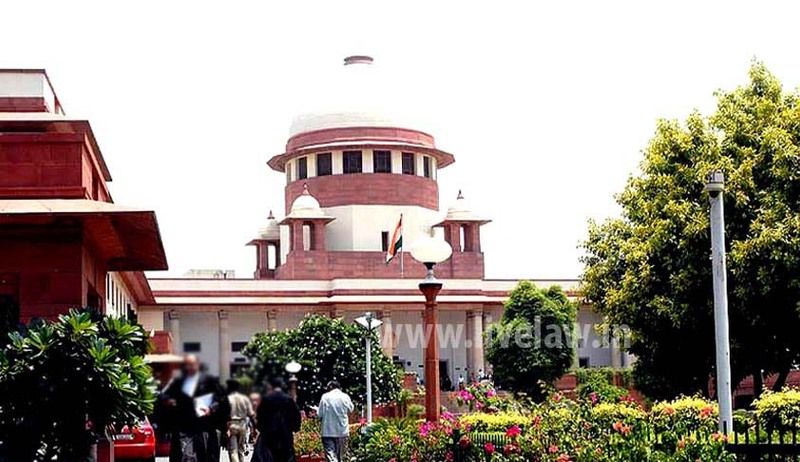 Senior advocate, Chander Uday Singh, referred to the Supreme Court’s recent judgment in the NJAC case, to point out that Justice Lokur had elaborately dealt with the tests for reconsideration of previous judgments, and one of the tests is to see whether there was a manifest error. He added that certainty should not be disturbed because of doubts. The Chief Justice, T.S.Thakur, said the step-by-step approach in referring matters from three Judges to five Judges, and from five to seven, and then to nine, is a safeguard, and that the bench also felt that “something in the Bangalore Water Supply case needs to be ironed out”. Chief Justice Thakur then asked Jaising why she was opposing the reference to the nine-Judge bench. “If you are confident, then you should be able to persuade the larger bench also”. To this, Jaising said the Hegde bench, which referred the case to the seven-Judge bench in 2005, used political philosophy, not law. “Nothing has changed, and will change because of reference to nine Judges”, she told the bench. Senior advocate, Colin Gonsalves, also representing the respondents, told the bench that one reason cited for reference to a larger bench is that there were two dissents in the Bangalore Water Supply case. The two dissents by Justices Jaswant Singh and Tuzapurkar were not on the nature of tests to define “industry”, he said. Gonsalves also said that the Hegde bench faulted the judgment in Bangalore Water Supply case because of “its worker-oriented approach”, and wondered what was wrong with it, and using this as the reason for reference to a larger bench, was its fundamental flaw, he reasoned.